Coupons Marysville WA Uses, Get Your Special Offer! 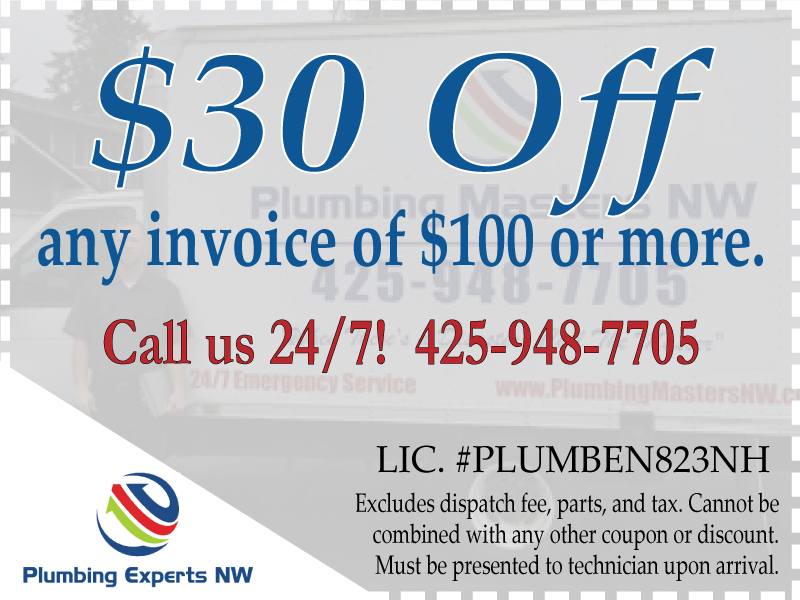 Plumbing Experts NW want to offer you, our Marysville WA friends, some discount coupons on plumbing service. Check back for new offers and please share with friends! Pick the offer you like and click it to do a quick image download. OR, present any of these coupons directly from a mobile device. Call our friendly staff to schedule your appointment and let us know that you have a special offer to use! Use on of our Coupon Offers and See Why We Get Reviews Like This! 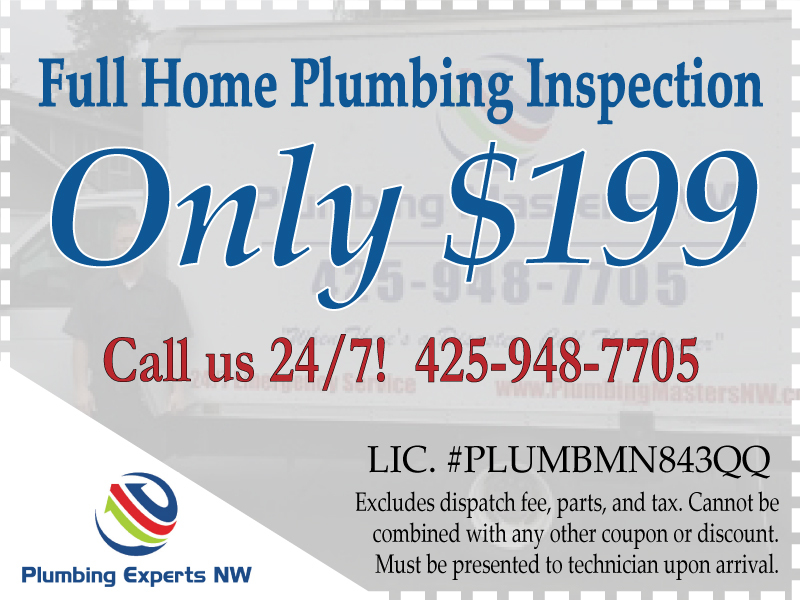 Whatever your concern is with your plumbing system, we're the company to call when you need a plumber in Marysville. We'll locate and fix water leaks quickly for you. 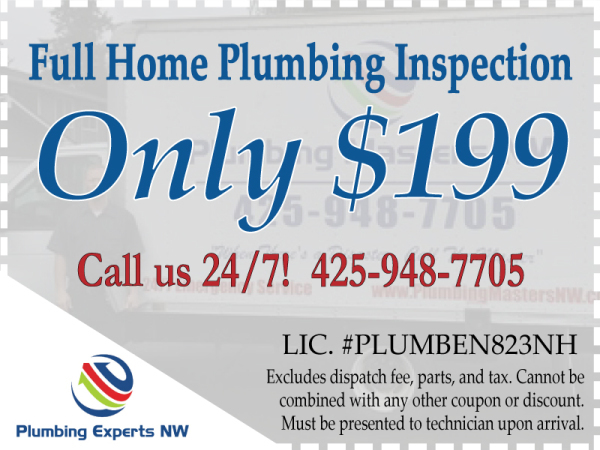 Don't waste time worrying when you can call on Plumbing Experts NW. A Sewer Scope, or sewer camera inspection, gives you a clear view of your sewer line. You'll know if you need repair or not. 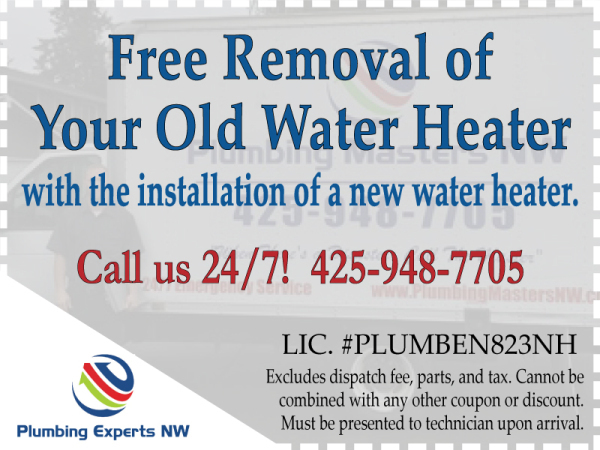 Yes, we do fix water heaters in Marysville WA. 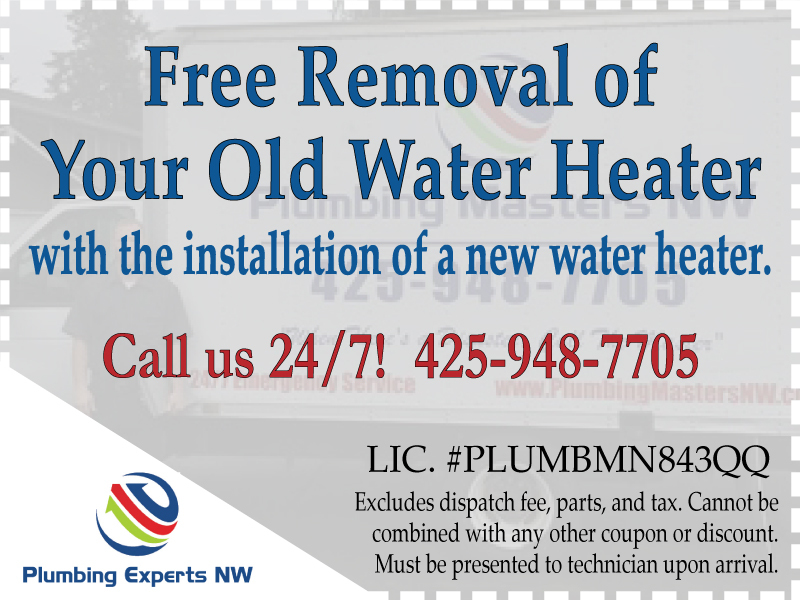 We come ready to repair, and when necessary replace your water heater. Clogged Drains are nothing to worry about. Plumbing Experts has the tools and know-how to get your unclogged---any drain! Expertise with your sewer line cleaning and sewer line repair in Marysville. Small issues and big ones--we got it. 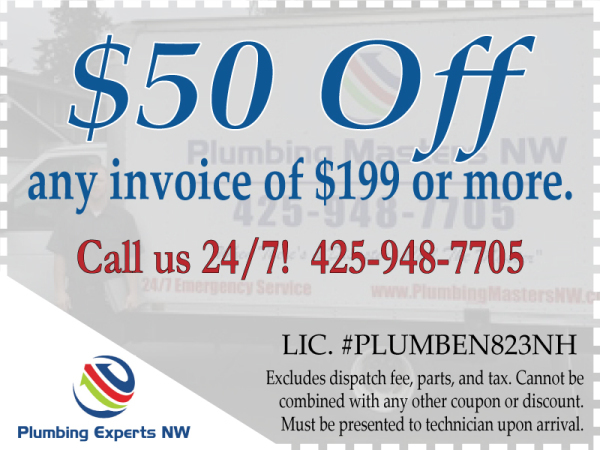 Plumbing Experts NW knows that EVERYONE likes a deal! 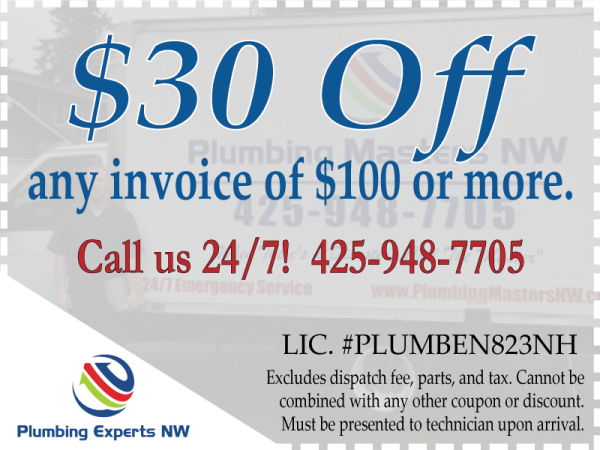 It's not always easy to have specials or plumbing coupons Lynnwood area folks will use and appreciate, but we've assembled a few that might fit your situation. We will be rotating these special offers for plumbing service every so often, so be sure to check back.